This shirt has been custom designed by Chef of GourmetKickz. It matches the Jordan 7 Marvin the Martians perfectly. 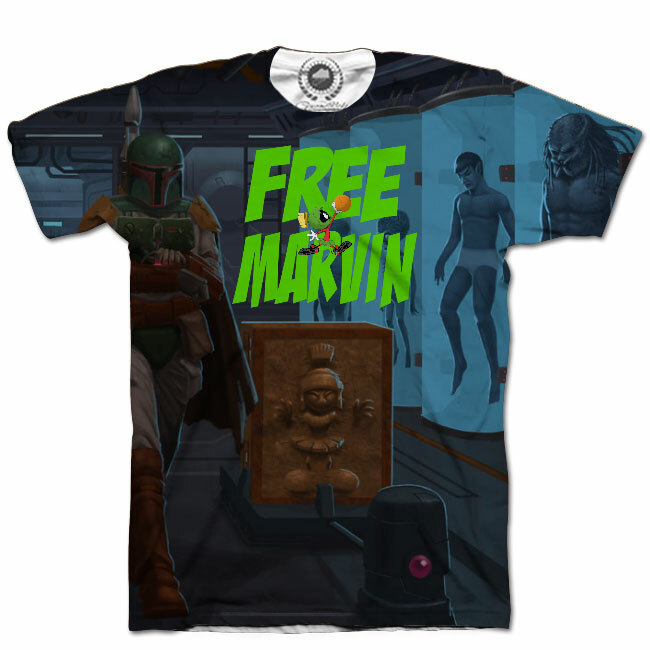 The story here is that Boba Fett has captured and carbon frozen Marvin. Clearly Boba has plans of adding Marvin to his trophy room of fellow interstellar travelers like Predator and Alien.